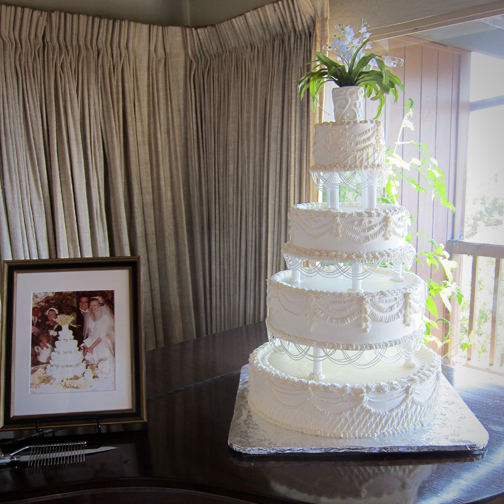 "Rachael came to me with a photo of her parent's wedding cake taken 50 years ago. It was quite an honor to be asked to make a replica for their milestone anniversary party. 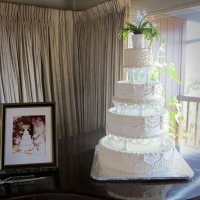 While working on this cake, I was thinking of the lifetime of memories they've created together with so much more to come. How wonderful."